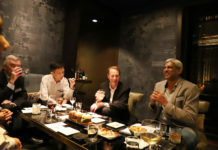 A lunch roundtable was hosted by F5 Networks on 2 February in Singapore, featured François Locoh-Donou (President, CEO, and Director, F5 Networks), who shared his insights on how industries can evolve and adapt in the face of digital transformation. The overall theme of the roundtable discussion was ‘Building the right culture for the App Age’ and it covered issues like the rise of app economy and digital transformation reshaping the modern enterprise and applications. 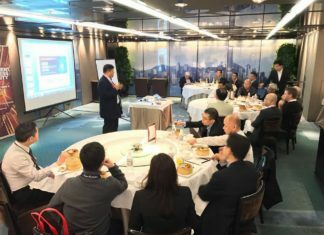 Besides François Locoh-Donou, the attendees of the roundtable included Adam Judd (Senior Vice President of Sales, APAC, China & Japan), Kara Sprague (Senior Vice President and GM, Application Delivery Controller) and Michael Quek (Regional Vice President of Sales, ASEAN) from F5 Networks. Other distinguished attendees were Ong Leong Seng (IHiS), Lim Kuo Siong (Maybank), Sonia Wedrychowicz (DBS Bank), Derek Gooh (Ministry of National Development), Ng Tiong Gee (Yellow Pages), Aw Yong Sai Khoon (Pioneer Electronics), Jordan Dea-Mattson (Wobe) and Koh Kok Tian (Borneo Motors). The discussion was moderated by Glen Francis, President & CEO of CIO Academy Asia. The Internet of Things (IoT), mobility and cloud services have disrupted the way businesses have transformed and with it comes a new set of challenges and cyber security issues. It is important to understand why business leaders all over the world are interested in digital transformation. Every business, regardless of industry, has to analyse markets and customers’ behaviour. Through research and analysis, modifications are made to their products to adapt to the changing markets. Since the last fifteen years, this process of researching, analysing and modifying takes several months or years. 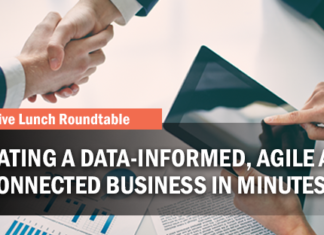 Now with the advance of data analytics, many companies have gained the ability to collect and analyse data and generate actionable insights within milliseconds. For example, the user recommendations system on Amazon is able to analyse the demographics and consumer behaviour and correspondingly modify personalised recommendations for each customer within seconds. Companies that embrace digital transformation and adapt their products in real-time have captured extraordinary value in their industries. This is the reason why the biggest companies in each industry are often software companies. At large, most companies understand the need to embrace digital transformation and accelerate the research and analysis process. The ability to launch products at milliseconds translates into speed for consumers. The single biggest currency in today’s market is speed and velocity. The ability to produce and deploy applications is now accelerated. Thinking about how to label velocity for consumers drives many of the changes in F5, as it should for many other companies. First, technology must be made easier to consume. The easier it is to use technology, the faster customers can produce and deploy applications. F5 is looking at making their solutions available in pure virtual forms with faster boot times, lower footprints and the ability to automate these solutions to a point where CIOs can offer a self-service environment to their developers. There is a demand for support across multi-cloud environments. Many customers want to deploy applications on multi cloud services with the assurance of consistent services, especially for security reasons. Customers may have several reasons for the need of multiple cloud compatibility, such as economic viability, resiliency and productivity. Thus, solutions provided by companies like F5 must be compatible across platforms such as Google Cloud, Alicloud, etc., so that customers can deploy their applications with a consistent security posture across the board. The roundtable discussion emphasised the importance of company leaders having the willingness to digitalise and reimagine user experience. Leaders are encouraged to look at the digital capabilities of the world and consider how companies can employ these capabilities to cut costs, deploy their applications faster and speed up processes to enhance customer experience. DBS’ successful examples of leveraging on artificial intelligence to launch a digital call centre and adoption of soft tokens were shared and reflected upon. Apart from utilising digital trends, companies must also consider their weaknesses and adapt their business models and practices in the face of these digital trends. For example, the advance of technology, coupled with the rising costs of owning a car, has contributed to the proliferation of ride-sharing services such as Grab and Uber. A corresponding change in the car industry is shifting their business models from business-to- consumer to business-to-business with ride-sharing companies. Digital transformations also permeate into changing the ecosystems of partnerships for companies. F5 is gradually shifting from a traditional two-tiered distribution model as they see more and more applications moving to the cloud. 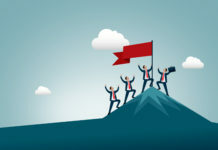 A new set of players has emerged in the market, onboarding cloud specialists and channels, whose business models revolve around advising and helping their customers migrate their applications to the cloud seamlessly. Increasingly, F5 are working with these partners and public cloud providers as well. One such partner is the Amazon Web services. The ecosystem of integrating and educating consumers is changing as well. A way to serve customers better is through capability building. By providing training on concepts around programmability, F5 ensure that their customers become fluent with their products, understand the needs of their developers and how these solutions can be integrated into the company. In addition, shifting to a subscription-based consumption model allows customers to have access to all the tools they need, and they no longer have to negotiate for license resellers, further enhancing the ease of access and usability. The luncheon concluded on the topic of cybersecurity on the cloud. Cloud services are more secure than data centres but several leaders at the luncheons noted how, unfortunately, many decisions are often driven by perception than facts and that a challenge exists in helping people understand what opportunities cloud-based services can afford. The sophistication and frequency of cyber attacks have exponentially grown over the years. The speed and advance of technology is usually driven by how much the consumer can use and adopt the technology, yet security is the only space where the speed of advancement is driven by the ingenuity of its adversary. As adversaries become more sophisticated, these problems are translated into CISOs finding a plethora of vendors and equipment organisations with different approaches to security management to choose from to deal with these trends. This, however, results in the issue of having too much data with the right alarms lost in the sheer volume of data. There is a consensus that more consolidation of solutions is needed as the security space, despite being the largest growing segment (US$40 billion), it is the most fragmented market of the tech markets. An emerging trend observed is that automation will soon play a crucial role in the security industry. Automation is increasingly used to make sense of copious amounts of data accumulated across the variety of security solutions and across multiple cloud platforms utilised by consumers. About François Locoh-Donou – François Locoh-Donou is F5’s President, Chief Executive Officer, and a member of the Board of Directors. He joined F5 in April 2017, bringing to the office nearly two decades of enterprise technology experience building a wide range of products, teams, and operations around the world. About F5 Networks – At F5, we make apps go—faster, smarter, and safer. 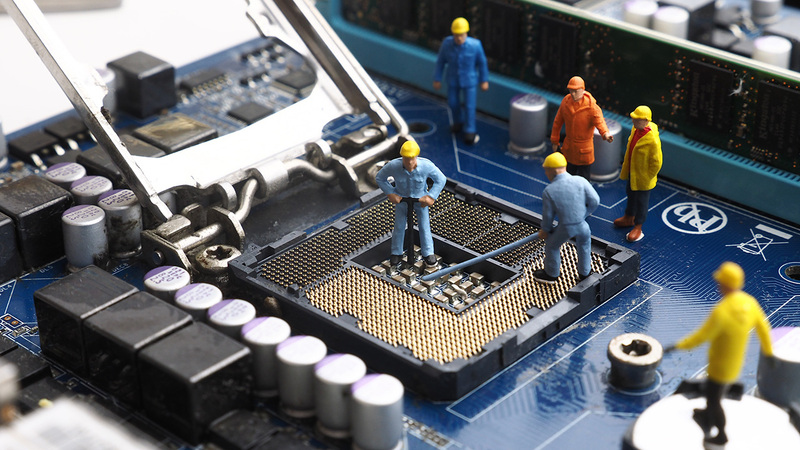 Our solutions strengthen the security, performance, and availability of applications, servers, and data centers. All F5 products are highly programmable and integrate into any environment, whether in the cloud, on premises, or in a hybrid environment. To date, 48 of the Fortune 50 companies rely on F5 to deliver apps that customers and employees can securely access at any time, on any device, from any location. Learn more about how we make apps go at f5.com.